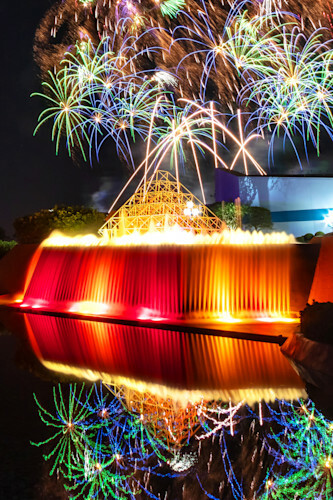 Photographing the fireworks at Epcot is a highlight of every single one of my trips to Walt Disney World. 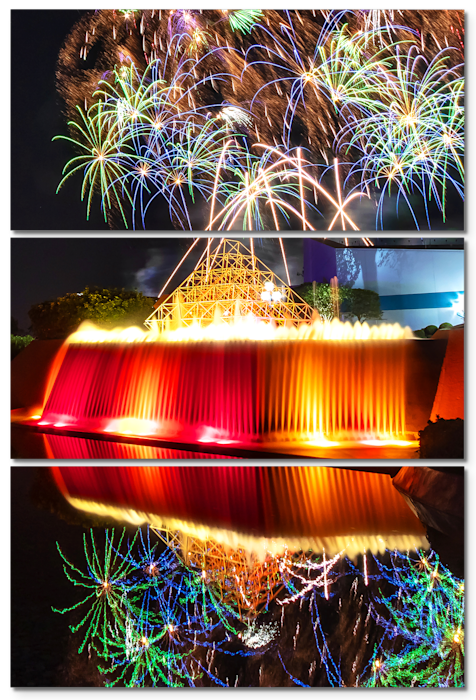 While I do have a few favorite spots, I always look for new spots around the World Showcase to capture the beauty of Illuminations. This time, I strayed away from the World Showcase and instead went to Future World and Journey into Imagination and used its upsidedown waterfall in the foreground of the photos. From this location, you, unfortunately, cannot hear the soundtrack, and you cannot see the fountains. However, you get to capture some very unique and beautiful photos, and there are no crowds! I was the only one anywhere near this area, so when you photograph from here, you do not need to stake out a spot 2-3 hours ahead of time. You can also beat the crowd out of the park from here if that is your goal. Imagination Illuminations 1 Photograph as Fine Art.